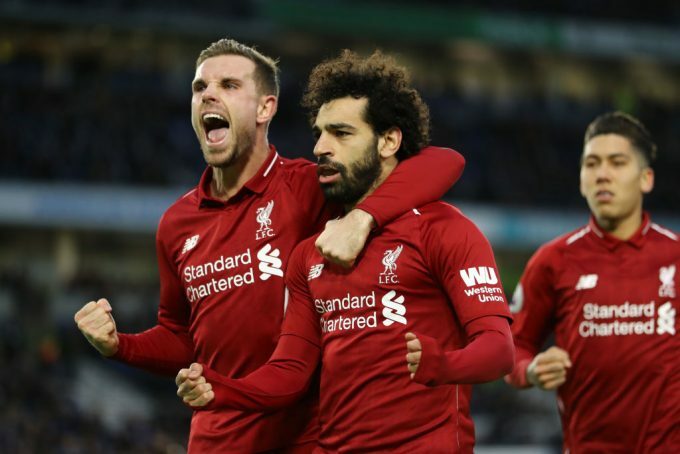 Liverpool captain Jordan Henderson has likened the Reds start Mohamed Salah to former teammate and current Barcelona striker Luis Suarez, saying that both share the same mentality. Salah participated in all of Liverpool’s 22 games in the Premier League this season, where he scored 14 goals and delivered eight assists. He is the current joint-top scorer of the top flight league along with Harry Kane and Pierre-Emerick Aubameyang. Despite being the target man of Liverpool and being subject to tough challenges, the 26-year-old forward managed to feature on all games. “Yeah, Mo’s the same. He’s got this very strong mentality. If they try to put pressure on him, they will only make him better,” Henderson told The Echo. Salah has also been accused by few pundits and experts of falling too easily into the box as of late, but was defended by teammate Andy Robertson who refuted that he is the type of player who looks to dive.